While I see the square and monument regularly and have been to an exhibition here once, I’d never climbed to the rooftop terrace (well technically I still haven’t; it’s only 5 flights of stairs, but I was able to use the lift*) until today. It’s hard to describe how it felt being so up close to all that white marble (I actually had to touch it!) 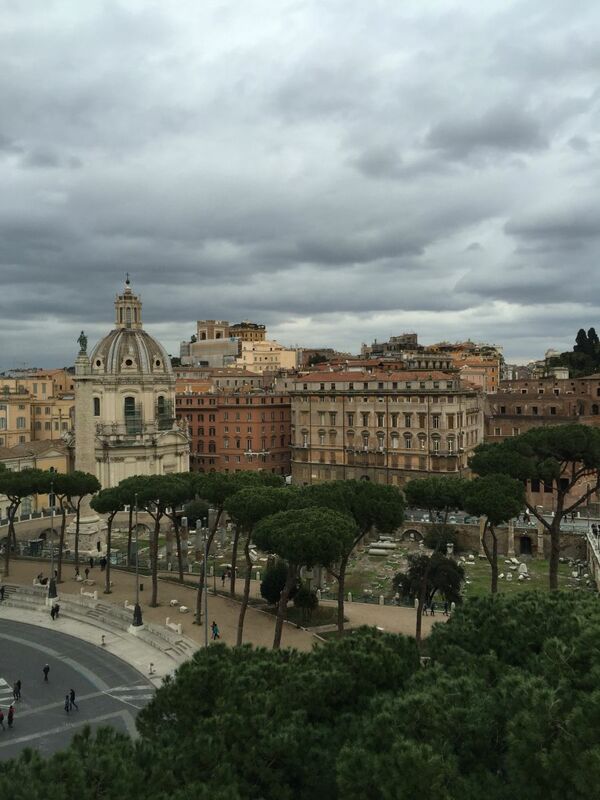 and looking out to the domes and rooftops of Rome. 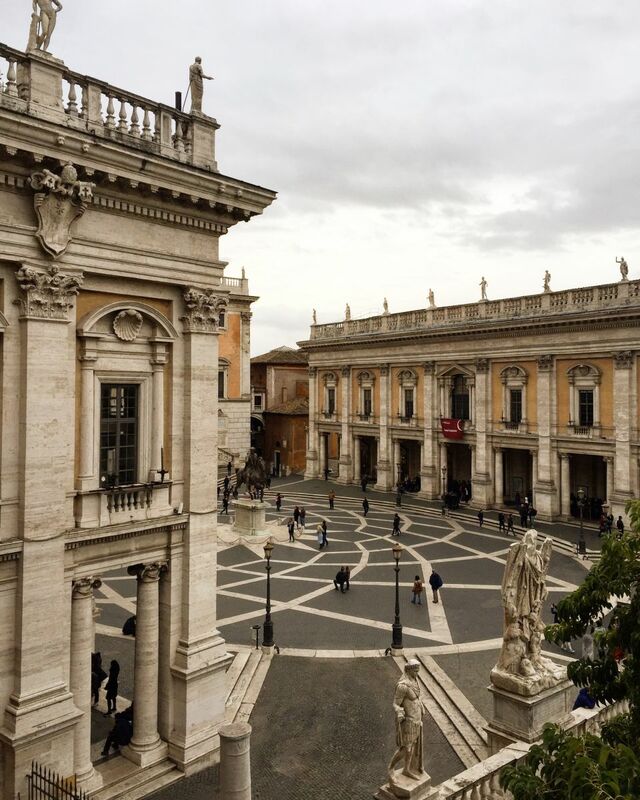 From one side of the terrace you look out to the Teatro Marcello and Piazza Venezia. The skyline is dotted with the domes of Sant Andrea della Valle, St Peter’s and the Saint Agnese in Agone Church. You can also see Janiculum Hill and other bell towers and monuments. 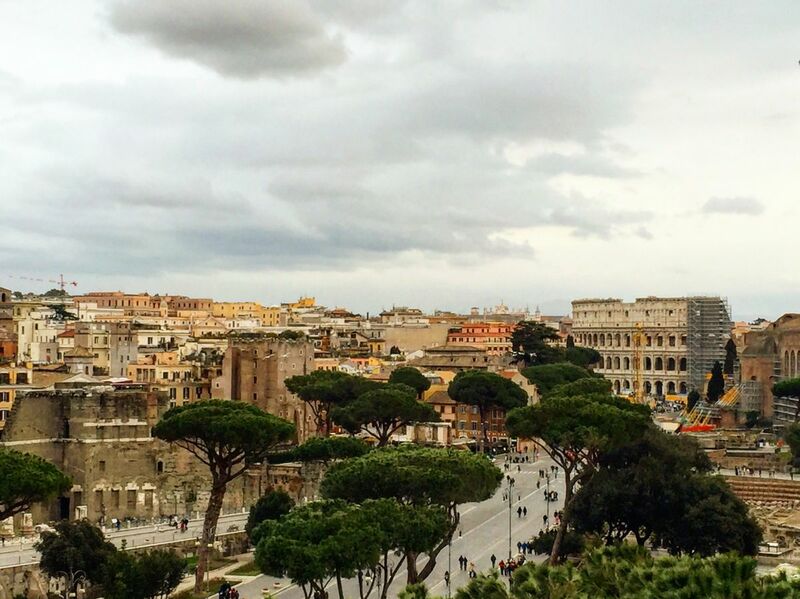 From the other is the view of Via dei Fori Imperiali, the Colosseum, Palatine Hill and even the basilica of Saint John in Lateran. 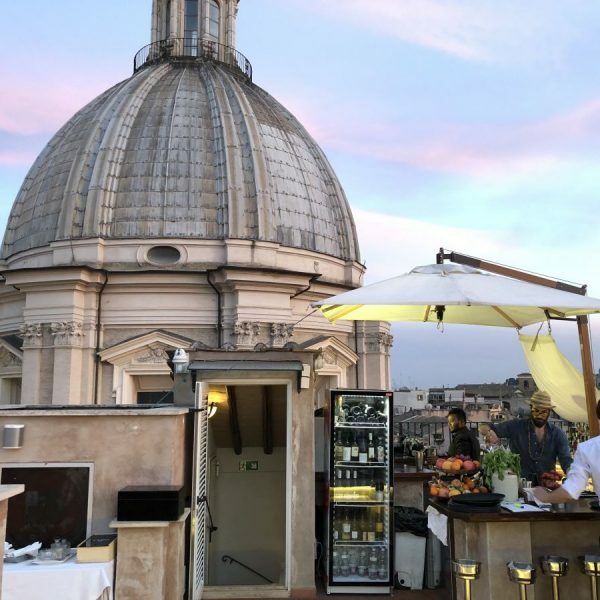 The terrace also features a cafe and the best part about my visit, was that it was free – such a great way to spend a couple of hours in Rome without breaking the bank. To use the panoramic glass elevator, the cost is €7 but be prepared for long queues. Today I gave it a miss! 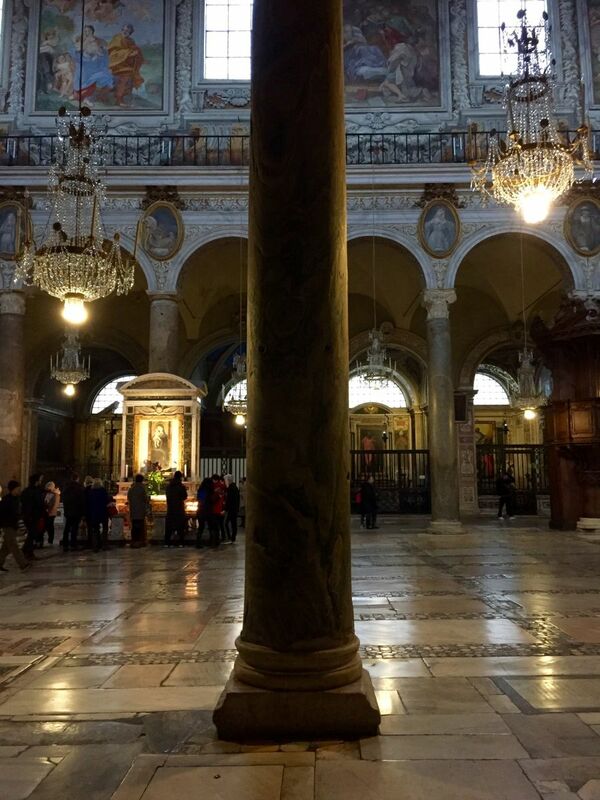 What’s more, is that through a small access gate you can reach the Basilica of Santa Maria in Ara Coeli which is located at the highest point of Piazza del Campidoglio (Capitoline Hill). 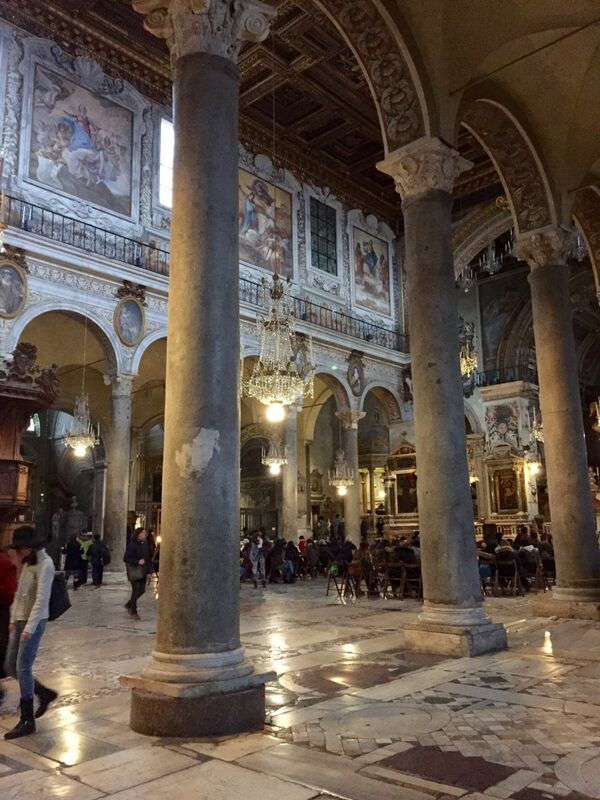 Colloquially known as the church where Roma captain Francesco Totti got married, it is also the official church of the City of Rome council and a stunning mix of frescoes, mosaics and a gothic glass window that can be seen from outside the front. It’s a sneaky way to visit the church which sits up top over 100 stairs. Heading down you also have a pretty view of the Campidoglio Square. 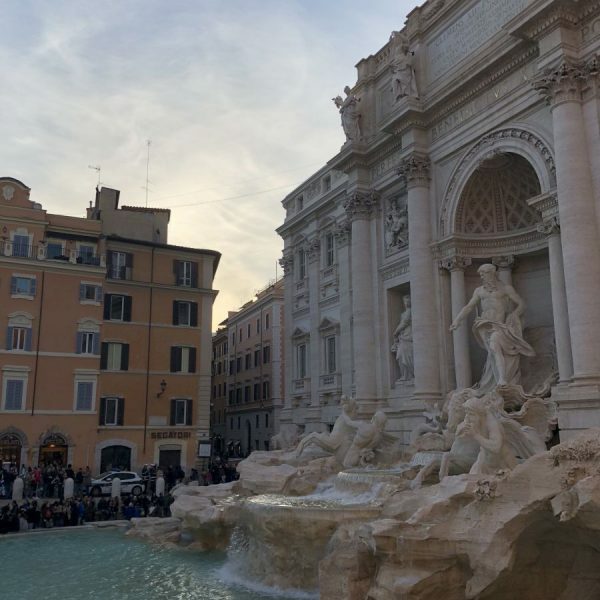 Highly recommended for when you have a free morning or afternoon in the eternal city. 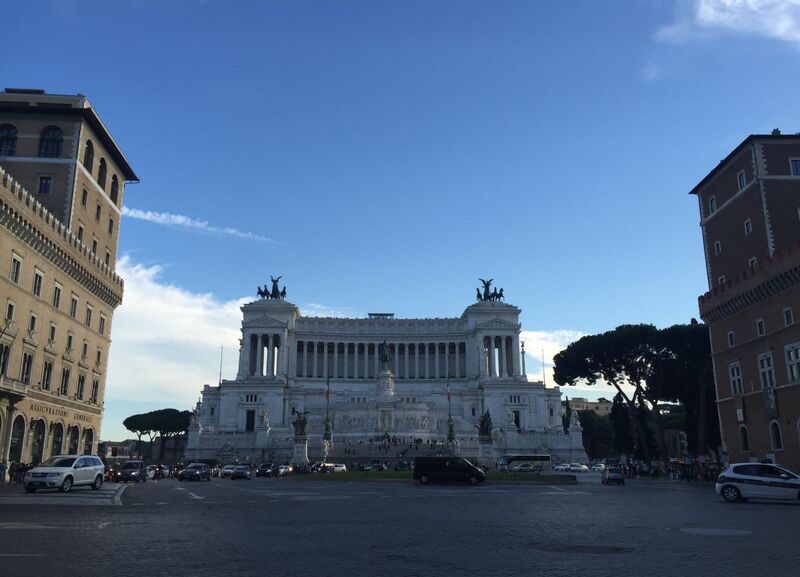 *Note: the internal lift inside the Vittoriano is for use only by people with physical limitations / disability.